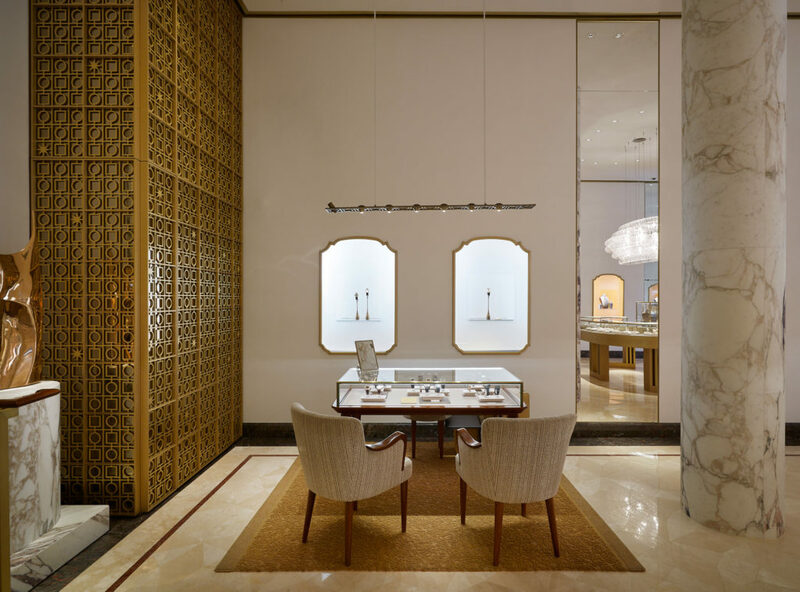 One of the most significant spaces recently inaugurated by Bulgari, the flagship store in Paseo de Gracia was designed and furnished by Zordan, a Bulgari partner since 2000. The Paseo de Gracia or Passeig de Gràcia in Catalan is one of the most elegant boulevards in Barcelona, famous worldwide for the extravagance of its modernist architecture from Antoni Gaudì to Lluís Domènech i Montaner but also for its splendid fashion and jewellery boutiques. 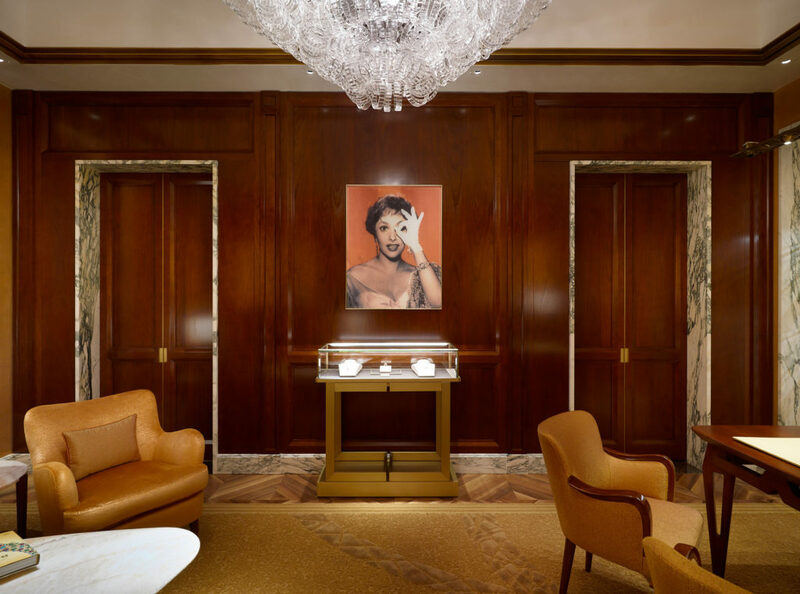 The Bulgari flagship that has been in this priceless luxury avenue since 2010 has recently undergone a spectacular renovation. This daring intervention, aimed at adapting the luxury brand’s store to the new concept developed by Peter Marino which has been operational at Bulgari since 2015 has resulted in a radical restructuring of the flagship not only in terms of furnishings but also of the structure itself. The supreme expression of Bulgari excellence, this space is certainly one of the most significant in terms of finishes and dimensions opened by the Maison in 2017, definitely the most important in Europe and second only to the New York flagship worldwide. Extending over an area of 250 square metres, Bulgari’s new Spanish jewel does not have a particularly wide façade but it develops considerably in depth. Characterized by neutral shades that accentuate the atmosphere of balance and timeless elegance of the setting, the flagship opens with an entrance area that houses the most exclusive Bulgari jewels for men and women; a raised mezzanine displaying the collections of wedding accessories embellished with diamonds and two VIP rooms in the most exclusive and private part of the store. Marble in a variety of forms is the predominant material used throughout the store while elements in brass catch the eye as does the walnut wood panelling. 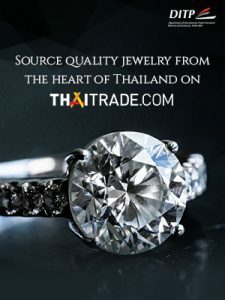 Bulgari entrusted the furnishing and décor of the flagship to the Vicenza-based Zordan company, one of its most long-standing partners and one of the leading players in the manufacture and production of furniture for the top single-brand luxury stores, boasting over 50 years of know-how. Presenting the intervention and explaining the particular details and critical aspects of the work, is Zordan project manager Giuseppe Caruso who was responsible for this important renovation. A top-class company and one of the first in Italy to achieve B Corp™ status thereby becoming a Benefit Corporation, Zordan had already supplied the Bulgari flagship store in Barcelona with a wide range of fixtures and fittings. 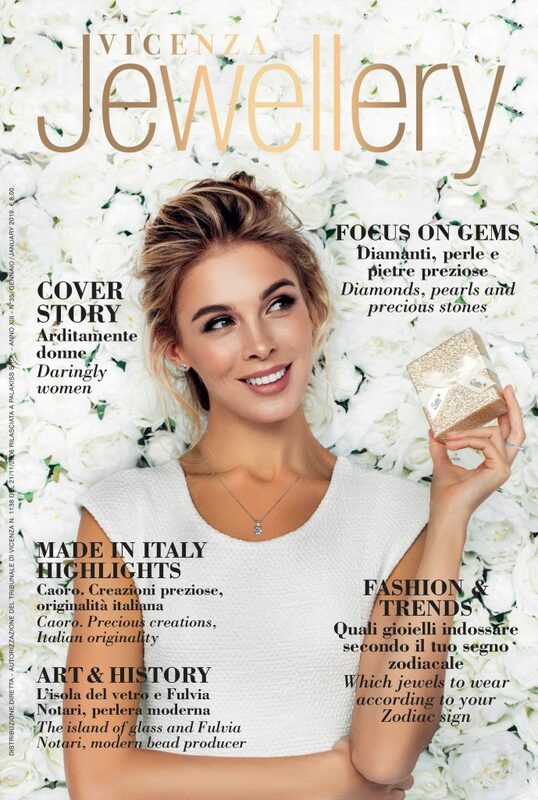 This entry was posted in News, Trade & Business and tagged Bulgari @en, business @en, Design, flagship @en, trade @en, Zordan1965 @en.